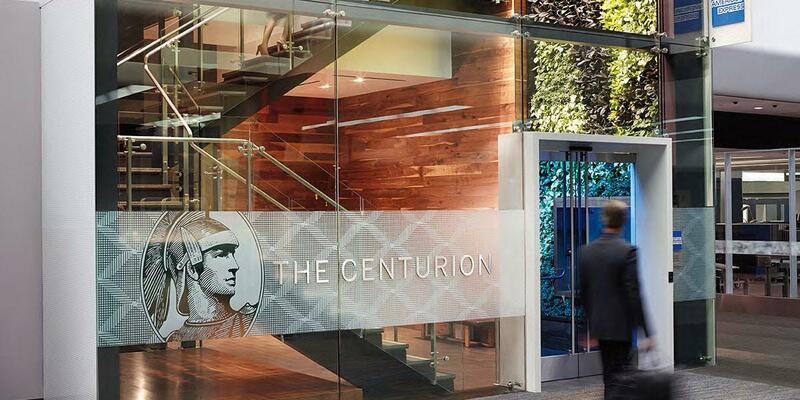 American Express Is Adding Another New Posh Centurion Lounge! American Express is building a new Centurion Lounge! Starting in Fall 2019, Charlotte Douglas International Airport will be home to the newest Centurion Lounge. American Express appears to really be kicking it into overtime with building new lounges recently, with locations in Denver, Los Angeles, and New York (JFK) currently under construction. This announcement now means a total of 4 new lounges are under construction to go with the 8 other Centurion Lounges in the US. You can to get access to these swanky lounges by getting one of AMEX’s Platinum cards (The Business Platinum® Card from American Express or The Platinum Card® from American Express). The cards also come with access to a bunch of other lounges too. Check out this post for step-by-step instructions on how to find a lounge you can access with your AMEX Platinum card. American Express Is Building a New Lounge in Charlotte. It Is Currently Planned to Open in the Fall of 2019. The lounge is slated to be on the 3rd floor of the airport between Concourse D & Concourse E. It is being build as part of the airport’s renovations. It will be approximately 13,295 square feet in size, which is average compared to other Centurion Lounges. They are currently planning on the lounge opening in Fall 2019. Just in time for the next holiday travel season. The 10-year lease is expected to cost American Express a total of $10.5 million. So now you know your annual credit card fees are being put to good use! American Express Lounges are some of my favorite lounges because they offer both a hot and cold buffet with open-air kitchens which include some of the best food options of any airport lounge out there. Many of the Centurion Lounges also have showers and spa treatments in addition to standard amenities like fast WiFi and comfortable seating. In fact, Centurion Lounges have become so popular that many locations have added restrictions such limiting the time of your visit based on your departure, charging for extra guests, and only accepting outbound boarding passes. Currently, the best way to enjoy these premium lounges is with The Platinum Card® From American Express or The Business Platinum Card® from American Express cards. These cards both include access to any of the 8 current American Express Centurion Lounges and the now 4 more lounges planned to open in 2019. As a cardholder of one these cards, you also will have access to Priority Pass lounges and Delta SkyClub lounges (if you are flying with Delta). This makes it the best card for folks who love airport lounges. Charlotte travelers, are you pumped for this new lounge? Don’t miss another valuable bit of travel news – subscribe to our newsletter and get them delivered daily.